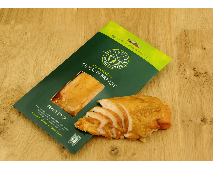 We are very proud to stock a range of Cornish smoked fish and meat, all ready to eat, from the talented guys at the Tregida Smokehouse! 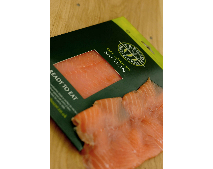 Tregida Smoked Salmon is produced using traditional methods to ensure high quality and authentic tasting results. 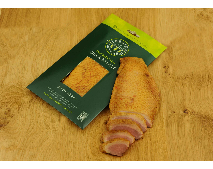 After being dry cured it is smoked slowly for a minimum of 24 hours to give it the renowned Tregida smoky flavour. Tregida’s Mackerel (sourced locally when fillet size and oil content are suitable) has their own strong traditional taste. 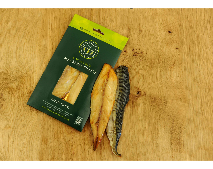 After brining it is hot smoked to create a product with an amazing flavour people describe as ‘the way they used to be’, not like the generally available mackerel in the shops. They are ready to eat straight from the pack. A minimum pack size of 150g means there’s plenty as a main course for one person or as a starter for two. Tregida chicken is brined and hot smoked to produce a succulent product full of authentic smokey flavour that is ready to eat. Weighing a minimum of 140g there’s plenty as a main course for one person or as a starter for two. Alongside our delicious smoked produce, we have Cornish cheeses, pates, charcuterie, olives, locally made chutneys and preserves as well as artisan biscuits and LOTS more!